Good morning everyone. The local weatherman tells us the rain storm we’ve been living with since Monday afternoon won’t be leaving us until next week. 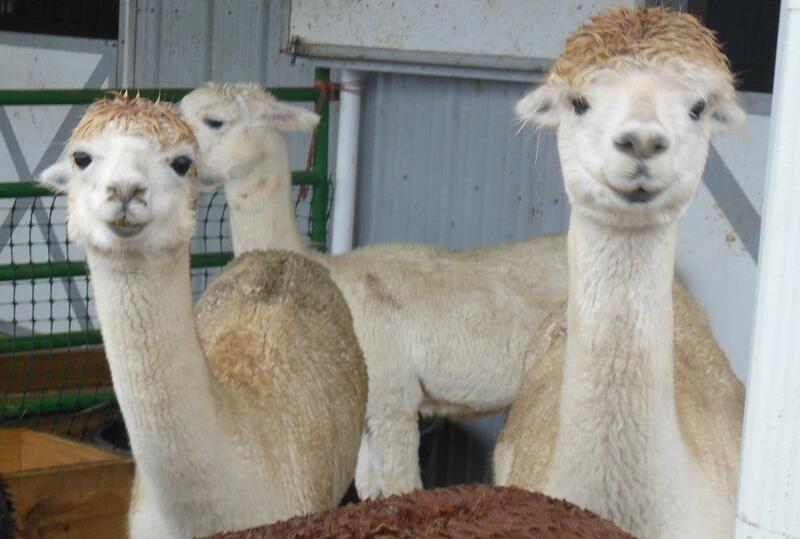 The alpacas aren’t happy with that news as you can see. Our hearts and good energy go out to those folks up north who are having a rough time right now. 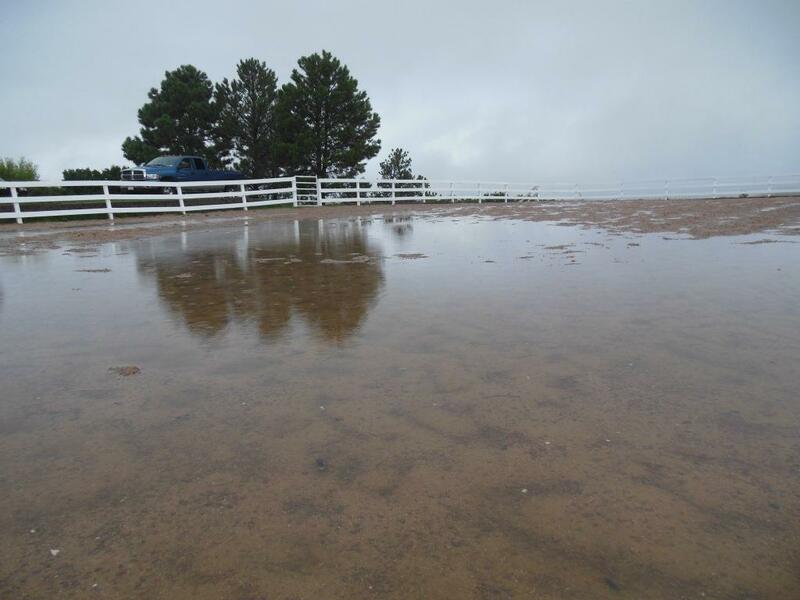 Cliff House Ranch sits on a cliff, and as we all know, water runs downhill; so we are not in trouble of flooding. Let’s pray for sunshine. P.S.- I, Momma, want to thank Uncle Jerry, Aunt Geri, Laura, Roger, Kirstin, my mom, Bonnie, Cindy, Jared and my husband, Gordon for their hard work in making our fundraiser a huge success. I am in awe of your giving spirits and your love for all things needing a helping hand. 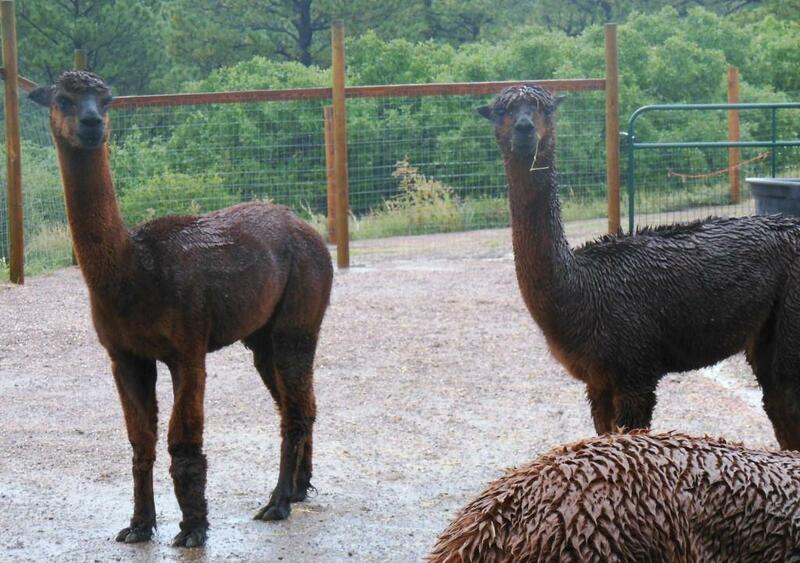 This entry was posted in animals and tagged alpacas, Colorado, rain, ranch life, weather. Bookmark the permalink. 1 Response to Baby – it’s wet outside! You are all so welcome for our assistance and we only wish we could have done more. Your efforts and gracious hospitality for us and everyone are awesome and greatly appreciated – your gifts of friendship and giving are just so cherished. 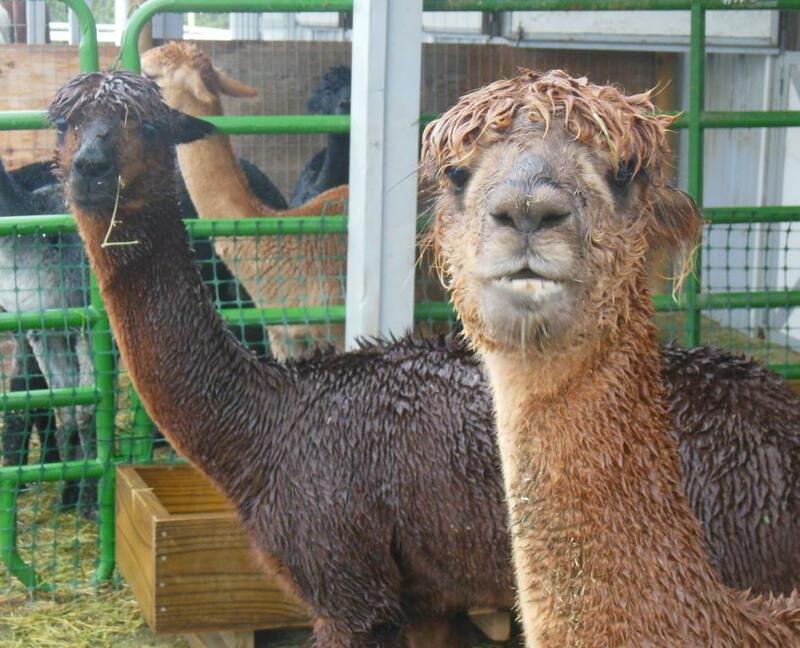 The pacos are looking like some angry, wet noodles!